Guest post by my friend Stephanie Klose, a Brooklyn-based writer and editor, contributor to Serious Eats and blogger at stephanieklose.com (and previously, right here on the blog!). 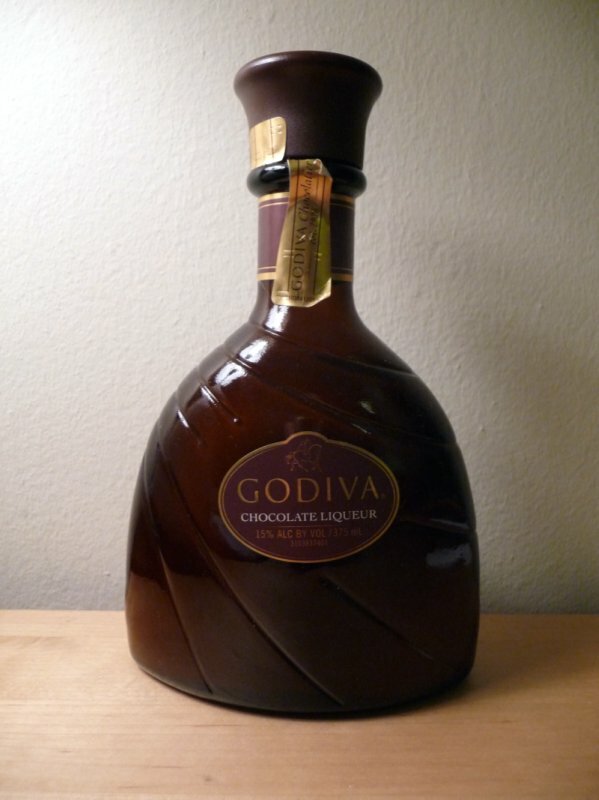 A Christmas or two ago, I received a bottle of Godiva chocolate liqueur as a gift. It's not something that I would normally keep around and I don't generally drink the kinds of drinks that call for it. But it was given with love by someone who liked it herself and I held on to it, stashing it out of sight until recently, when it occurred to me that there was one legitimately very delicious thing I could do with it: augment hot chocolate. Fill a mug with milk to about an inch and a half below the top. Pour the milk into a small saucepan and heat on low until steaming. While it's warming, add a heaping spoonful each of unsweetened cocoa and brown sugar (or white, but I like the bit of molasses flavor) to the mug, along with a splash of milk. Stir until it forms a paste (or slurry, depending on how much milk you splashed in). Add warm milk, stirring to combine, then 1/4 teaspoon of vanilla or other chocolate-friendly extract. I'm partial to either almond or peppermint. Add a shot of Godiva liqueur and stir. Top with a marshmallow if you like.